"You're IN The Band offers the opportunity to develop, hone and master one's skills for playing jazz by using the best teaching techniques known to date, actually playing IN the band. I highly recommend this method." "This is the only program I've seen that really delivers. It offers many great ways for players to truly grow their skills, and also enjoy the fun process of learning to swing in a band! Get it now -- you'll thank me later!" "This is the perfect way to get into playing jazz in a group. For players wanting the basics, it's absolutely accurate and gives you an idea of what's to come and what's required to be a part of a group. For advanced players, it offers jamming with established pros, an ideal way to practice and learn. This is for all instrumentalists who want to be a part of our music, from traditional on up." "You're IN The Band is the next best thing to actual on-the-job training. It's an extremely practical and efficient way to learn how to play in a traditional jazz context." "A hell of a lot of fun ... The play-along section is Habanera Hot ... Very well worth the nominal investment." "The perfect vehicle for any aspiring traditional jazz musician ... An absolute bargain." "You're IN The Band really delivers the goods in every way"
"Brava, bravissimo! 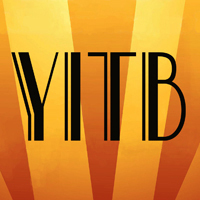 YITB is far and away the best play-along system I've encountered, and I love everything about it: the concept, the tunes, the arrangements, the musicians, the commentary and tips, and the stunning Deco design." "My new best friend arrived by postage this week! The book and CD's so meticulously and magnificently produced by you is a gold medal winner! I'm thrilled to be jamming with the best in the solace of my own living room. Life doesn't get better than this ... guaranteed fun!!!" "I really liked the variety of songs and the ability to play solo with them. I had never played with a banjo before." "The book is brilliant. Far and away the best of anything else I've seen along these lines.... Thank You. I especially like all the information in the first 30 or so pages and then sprinkled throughout the tunes." "Wow, what a job you've done on the play-along. Applause is not adequate. You deserve a standing ovation." "I believe there are certain things about playing live music that you can only learn by actually playing with other musicians who know their stuff. 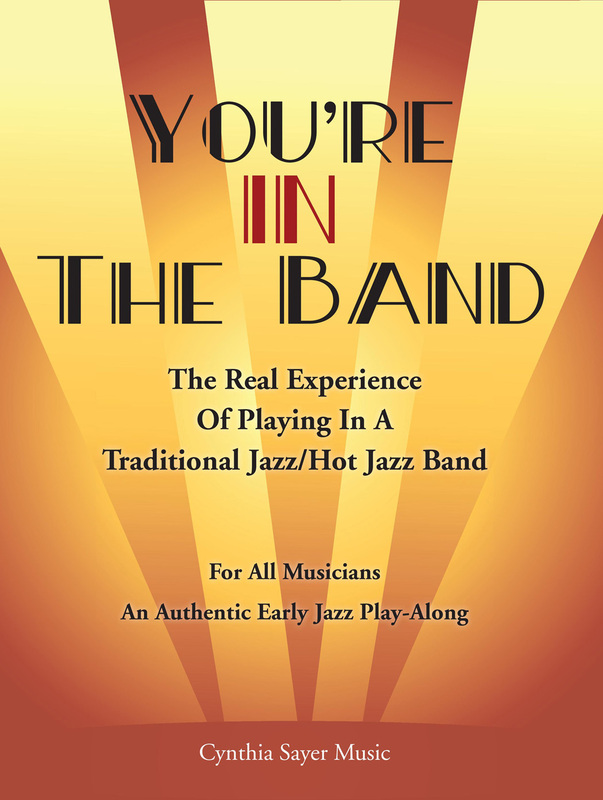 That's why I decided to create "You're IN The Band," and include popular hot jazz repertoire tunes you should know as well as musical and practical tips that you'll surely use whenever you play with others. Whether you are still learning your instrument or have been playing professionally for years, this play-along offers the fun and challenge of playing with a real hot jazz band anytime and wherever you like." 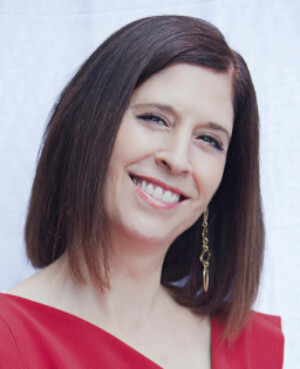 Praised for her "drive and virtuosity" by The New York Times, Cynthia Sayer is a multi-award winning instrumentalist, vocalist, & bandleader. She rose to prominence as a founding member of Woody Allen's New Orleans Jazz Band, all the while exploring her wider musical interests and playing with other legendary jazz, popular and roots music artists. Cynthia appears regularly in concert and at festivals internationally with her bands and as a guest artist. Along with her own albums, she can be heard on banjo, vocals, piano, tenor guitar, ukulele, and percussion on various recordings, soundtracks, and commercials. Cynthia is also an avid educator who gives workshops, master classes, school and university programs, and teaches privately. She lives in New York City. For more info, visit www.cynthiasayer.com. CLICK HERE for Cynthia Sayer recordings! Copyright © 2018 *|CYNTHIA SAYER MUSIC|*, All rights reserved.